Hello! Michelle here with some Tuesday Tips for you! I'm often asked how I pick the Copic colors I use on my cards, because people just aren't sure what colors to put together. 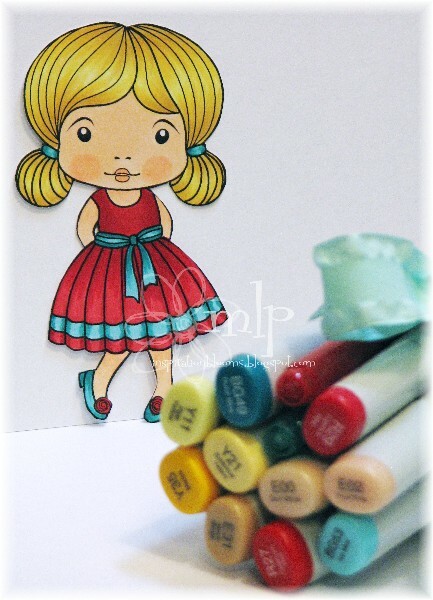 Well...I let the designer paper pick my Copic colors! I never start coloring my images until I've made a decision on the papers I will be using. And one final tip on my fussy cutting....turn your paper, not your scissors, as you are cutting. 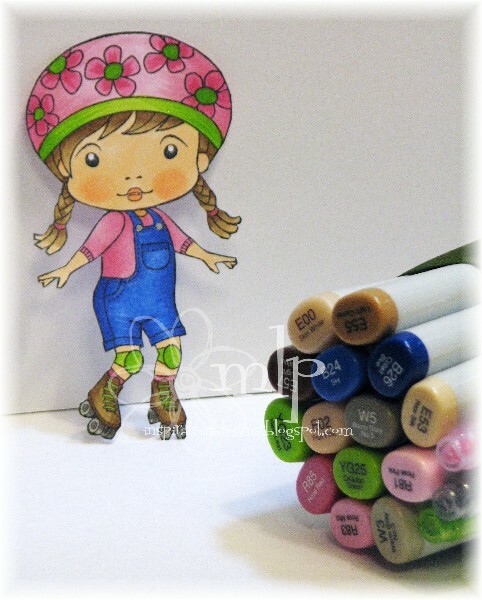 I loved coloring these adorable images from LaLa Land Crafts: Roller Skate Marci and Fancy Marci. Both are adorable but I love the shades of reds and blues in the 2nd card! Love your layered flowers too! 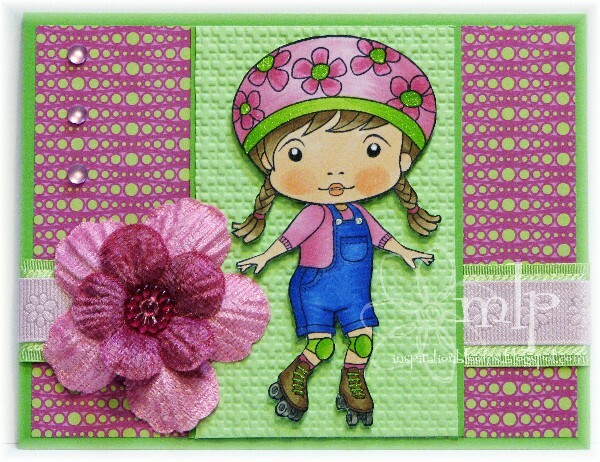 Adorable cards with our Marci stamps!! LOVE them both!! Great tips of picking the colors too!! Tutti Cuti - We Love the Rain!